Since I made it a goal to go antiquing once a month, my mom and I decided to meet at Ally's Attic in Lawrenceville, GA. Overall, I thought they had a good selection of vendors and antique goods in their shop and, out of the small handful of antique stores I've visited in Georgia, I thought their prices were really good! I was able to get all of the items below for $40.00...which isn't necessarily a good thrift store total...but for an antique store, I thought it was a great price! 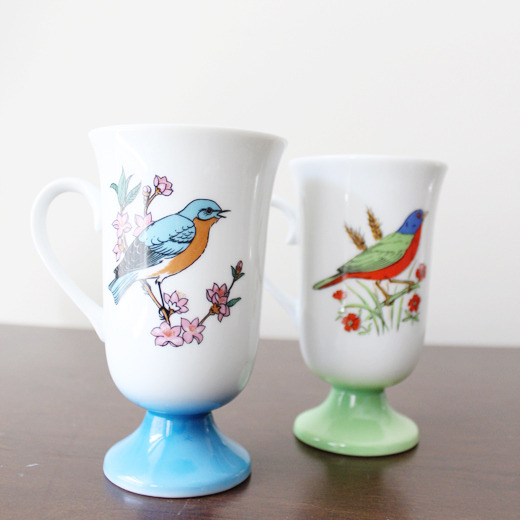 I loved these two little cappuccino mugs! They had three on display, but I only purchased the two, because I have this thing for even numbers when it comes to kitchen goodies. I loved their vibrant colors and sweet little half-heart handles. I probably need to purge some of my current mugs...I think these will make the perfect replacement. 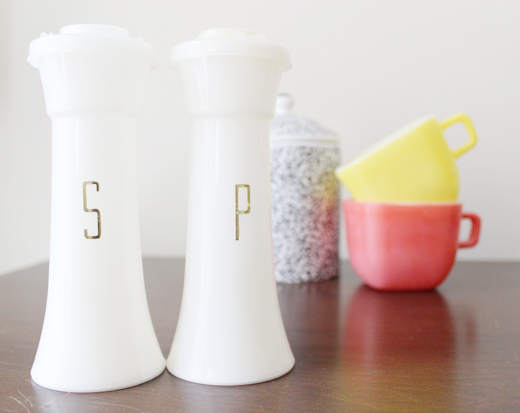 These tupperware salt and pepper shakers took me a few looks before I gave in and carried them to the front. Being a designer, I was immediately drawn to the charm of the reflective gold "S" and "P"...perfect. :) Fun Facts: These hourglass salt and pepper shakers were made in the 1950's and my mom remembers using them as a little girl! How cute is this pattern?! I love the colors and vibrant white of this casserole dish. Through some research, I found that they produced this pattern as mugs, bowls, and other types of casserole dishes. Oh, I'd love to find this pattern as a bowl! Fun Facts: This dish is a french casserole dish by Glasbake. 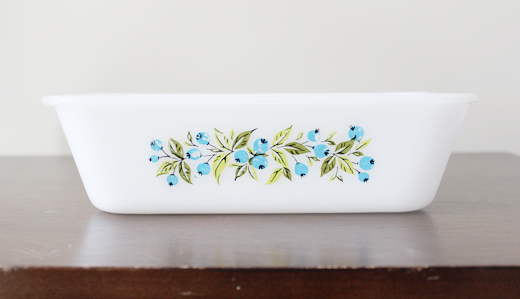 It was made in the 1960's and has a beautiful blueberry pattern on both sides. 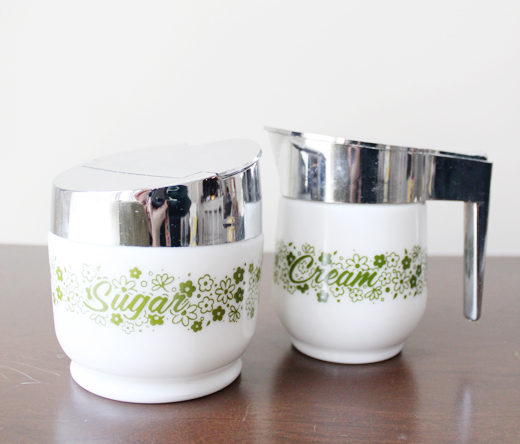 Loved this cute retro sugar and creamer set! They were in great condition and I'm dying over the adorable font. Fun Facts: This sugar and creamer set was made by Gemco for Corning Glass: the same company that made Pyrex during the 1960's-1970's. 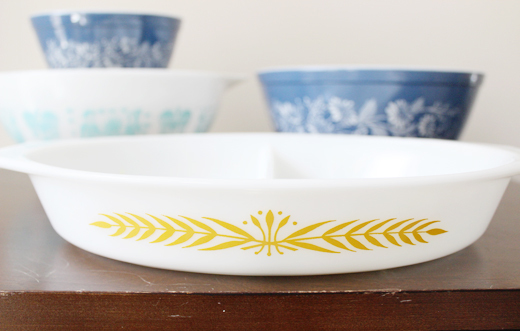 And, of course, I picked up another piece of Pyrex for my collection. :) I found this beautiful divided dish hiding away on a book case and loved the little yellow wheat pattern. It's in perfect condition and I can't wait to start using it in the kitchen! Fun Facts: This pattern is called the "Royal Wheat" pattern and was first sold in the 1960's. It was part of the Cinderella promotional divided dish series. This is the outfit I wore on Sunday to visit Jon's and my family, look at a potential townhouse and host a fun girls night at my place! 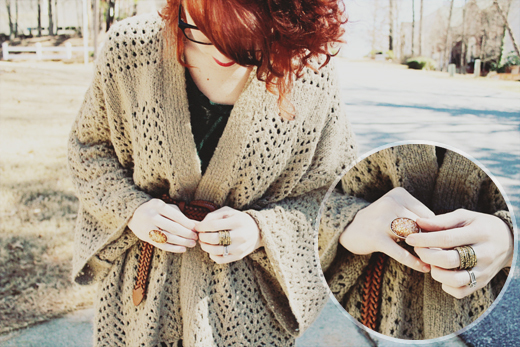 Even though this shrug is a little on the large side, I love how cozy it is...and it's perfect for light layering. You may be noticing the serious bag I'm carrying around. 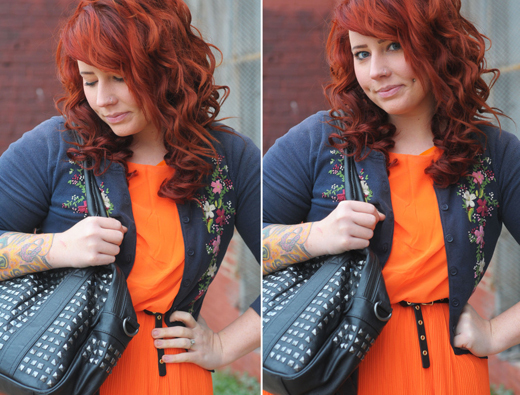 This is my new laptop//work//camera//Mary Poppins bag I purchased from Kelly Moore Bags. I had been wanting a good sturdy bag with lots of room for my laptop and other work accessories and had a difficult time finding something stylish, versatile, roomy, and not too heavy. 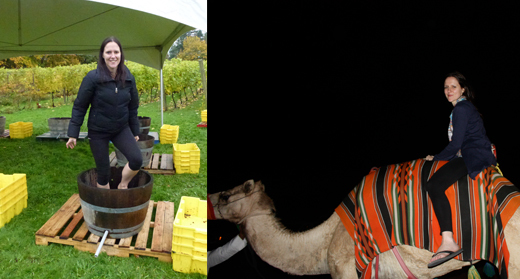 All of my research led me to two sites: Epiphanie Bags and Kelly Moore Bags. I went back and forth between the Paris and the Libby for a couple weeks and finally decided to go with the Libby. I'm so happy I did! This has been a great bag. It has adjustable velcro inserts and more pockets and slots than a girl could ask for. I currently carry my 15" macbook, charger, notebook, wallet, iPad, smaller accessories, and, every now and then, throw in my camera or my bamboo tablet. I took it with me on a business trip two weeks ago and it was the perfect carry-on piece. Love! It's starting to get warm enough to wear open toed shoes and sandals! Bring on the warm! 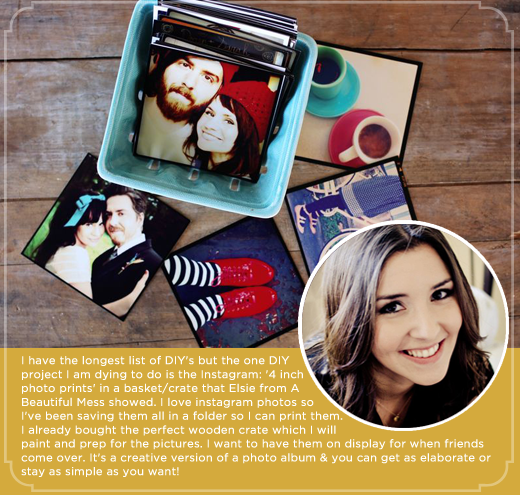 DIY ROUNDUP + GIVEAWAY WINNERS! 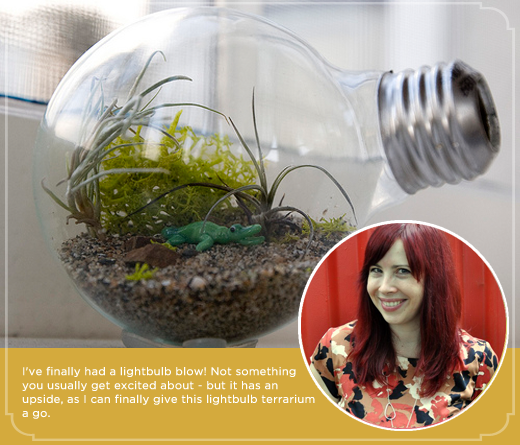 This month, I asked my sponsors to share a DIY they hoped to accomplish this month. Their answers were great and so inspiring! Makes me want to get craftin'! 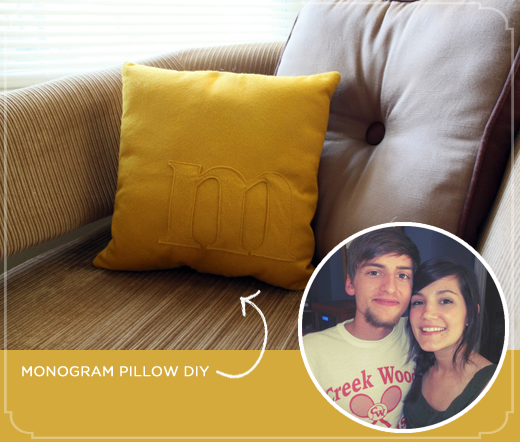 Have you done any fun DIYs this month?? Have any good ones on your list to do soon? Please share! GIVEAWAY WINNERS -- I'd like to announce the winners of the MaieDae Ad Space Giveaway and the Sponsor Love Giveaway for February! MaieDae Ad Space Giveaway Winners -- Stacie from Curious Damsel and Lolo from Respice Finem! 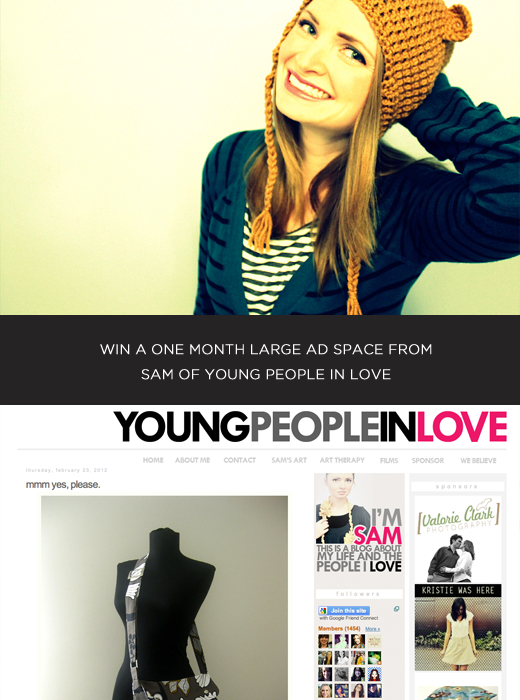 You've won a medium ad space for the month of March! Please send a 175x125 sized button to Savannah@maiedae.com. Congrats! 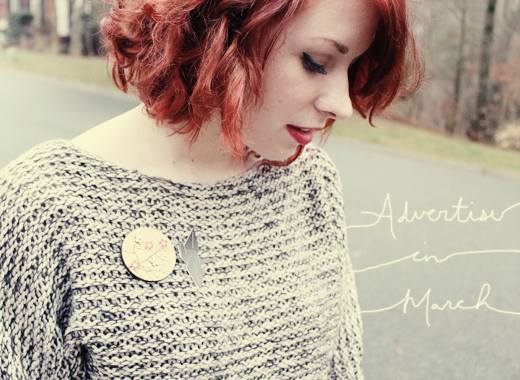 Psst -- Looking for a place to advertise your shop//blog in March?? My large solo feature spot is open and up for grabs! On Sunday, Jon and I spent the morning to early afternoon with our family and then went to North Atlanta to look at a potential town-house. Our lease on our apartment is up in September, so we are keeping our eye out for our new home. We really liked the town-house; it has an amazing amount of storage, it's about 2.5 times bigger than our current apartment, and it's got some old charm to it. AND a galley kitchen, which I love. :) After looking at the town-house, Jon and I rushed back so I could get ready for the "Pinterest Party" which is really like a DIY, chatting, and snacking get-together. I got the chance to meet some great ladies and it was so nice to just have a girls night. I'll be sure to post more details later! * This inspiring collection of business cards by Sweep Me Up. * I'd really love to get a personal trainer and get myself into good shape. 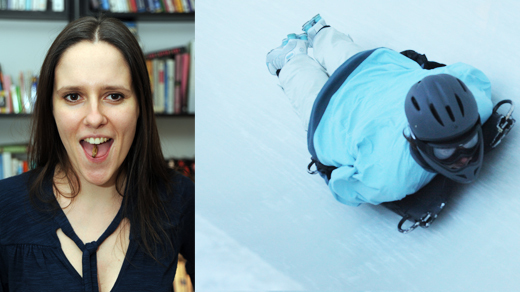 * This weekend, Jenny and I are getting professional pictures taken for our new website! * Tonight, my father-in-law is coming over for dinner. 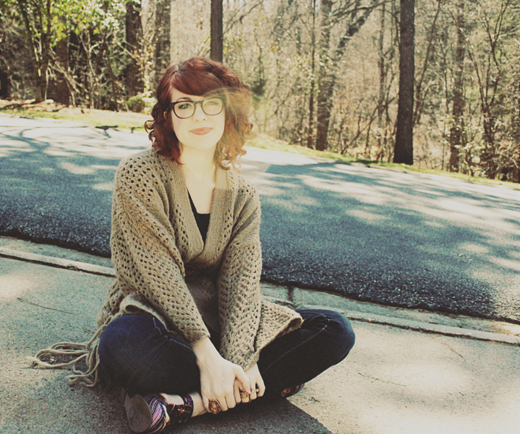 I’m Sara Kinninmont, a writer, dreamer, adventurer, and, most importantly, an Eager Beaver. I created my website as a means of not only combining my loves, but in hopes of inspiring myself and others to Live Like You Give a Damn! I started keeping a list of fun to-do's back in 2007. It wasn't until December of 2010 that I decided to create Eager Beaver. Once I had the name and the tag line, there was no denying that it had to happen. Incidentally, the original list now has over 5000 things on it! 3. What are your favorite things to blog about? Favorite post? I love that my website is interactive and allows readers to dream big dreams or, at the very least, introduce them to something they've never heard of before. Overall, I like to think that my website is about possibilities. Chocolate covered bacon? Who knew? Check out the gallery here: http://www.eager-beaver.com/gallery. 4. What are the top 5 things you hope to-do in 2012? I want to learn to play the ukelele, get back into running, drive down to Portland, Oregon, go sugar-free for a month, and relax in Bali. 5. What is your favorite pass-time? I'm in the middle of a hate//love relationship with trying to teach myself to cook. Unfortunately, more often than not, my enthusiasm outweighs my skill level and the result is anywhere from inedible to finding its way into my dog's dish. 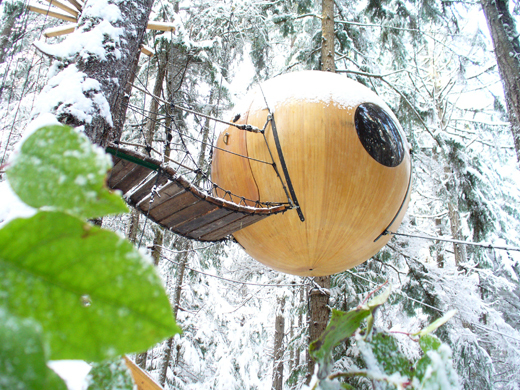 An overnight stay in this sphere hotel. Kindnessgirl, crazysexylife, bleubirdvintage, delightfullytacky, and Maiedae. Unlimited travel, the abolishment of pesticides, and a rule that states everyone has to waitress once in their life. 9. Current favorite source of inspiration? My local library. I'm there at least a couple times a week. 10. What's your favorite meal? Vietnamese salad rolls filled with avocado and mango, or else a green kale-based smoothie. Thank you, Sara, for a great interview!! I love your boldness and excitement to try new things and live life!! 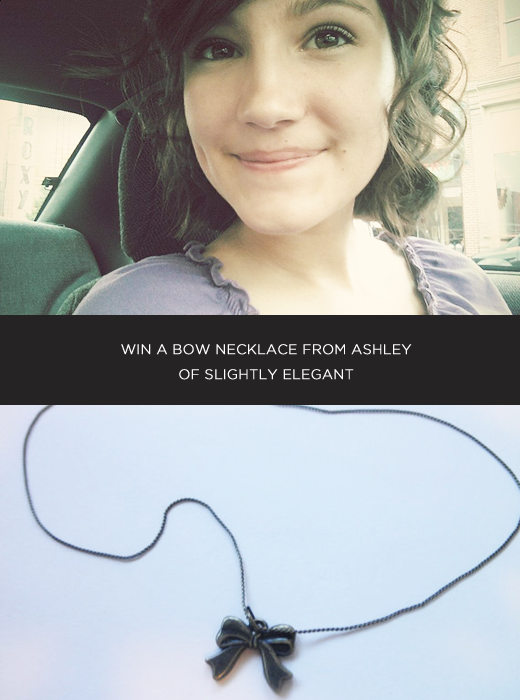 One winner will receive a free ad space on Young People in Love and a sweet little bow necklace from Slightly Elegant! 1. 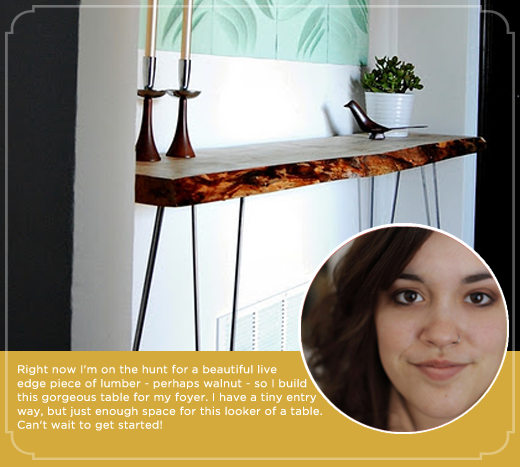 Visit these lovely ladies blogs and leave an encouraging comment! Happy Leap Year! This month, I thought it would be fun to celebrate the odd year with a handmade shop sale! 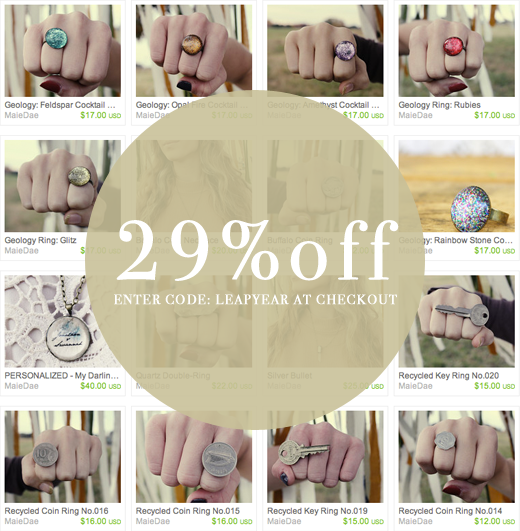 Get 29% off of your entire purchase by entering LeapYear at checkout! 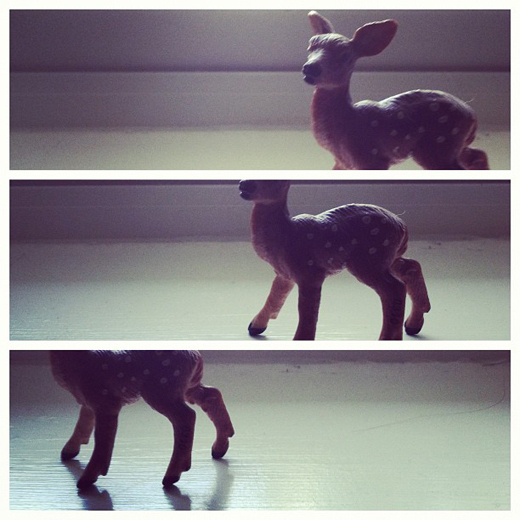 I love that there are fun ways to print Instagram photos and use them to decorate your home. I'm awful about printing pictures; it's been almost two years and I haven't printed a single wedding photo! One of my goals for this year has been to print more pictures and use them to make our home more sentimental. * Stickygram - Fridge magnets. * Printstagram - Instagram posters. * Canvas Pop - Print Instagrams on canvas. * Casetagram - Custom iPhone cases. How do you like to display//print your pictures?? This is my favorite part. :) Win a free medium sponsor spot for the month of March! Don't worry; if you reserve a spot now and find out you win later, I will send you a refund and (if needed) upgrade you from a small to a medium spot. Within a couple days, I will select and announce TWO winners! 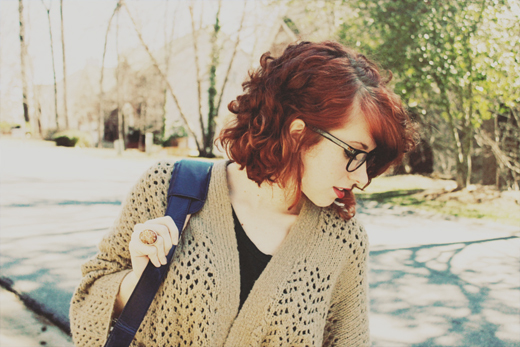 Main Entry: Leave your name and link to your blog//business you would like to advertise! 1. Follow MaieDae via Bloglovin. 2. Follow MaieDae via GFC on the left. 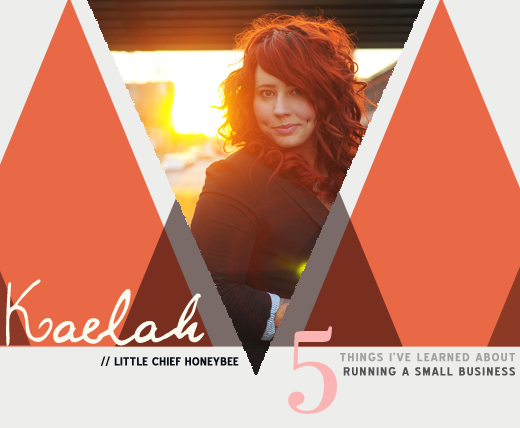 I'm Miss Kaelah Bee and I write the little life + style blog Little Chief Honeybee. I'm a 23 year old freelance designer, mobile retail shoppe owner, maker of pretty things, bulldog mama (and who knows what else!) living my dream life in Nashville, Tennessee! I wear a lot of hats in my home and they're all pretty fun. I get to make pretty things daily and I'm working on fulfilling my dream of a brick and mortar indie retail shoppe. My days are filled with blogging, photography, product listing, package mailing, and inspiration seeking. I'm no expert, but I feel confident enough in my 5 tips for blogging and//or running your own small biz//handmade shop. Enjoy! 2. Write everything down! ---> Give your brain a rest. 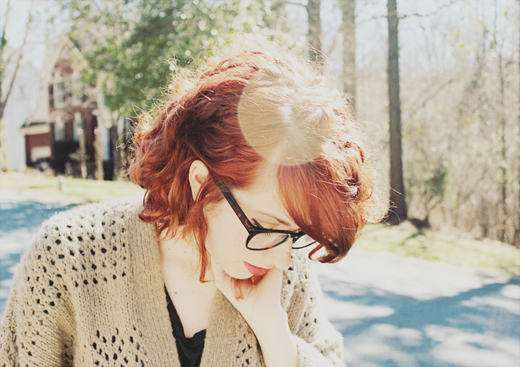 Don't try to remember everything, because it won't happen. Sure as the sun does shine, you'll forget something and that can throw a huge wrench in your day. Get an awesome blog idea? Product inspiration? Packaging design? Write it all down. Even the bad//horrible//awful//dumb//overplayed ideas. Good ones can grow and the bad ones can be marked off. 3. Interact with your audience. ---> Whether they're customers, clients, or blog readers, engage them. Ask them questions. Answer their questions. Network and build relationships. These are the people you count on on a day to day basis. Don't leave them hanging! If they have an issue with an order or have a question about a blog post, be willing to listen and answer! A little bit of love goes a long way! 4. Know when it's time to call it a day. ---> This is one I still can't wrap my head around. I don't know how to stop working, and I feel like I might as well burn the candle at both ends, now, while I'm young and without kids. Still, we all need to know when it's time to step away and spend time relaxing or enjoying the company of others. 5. Never be above learning. ---> We're all students of life and we learn along the way. We may not be masters of our craft, but we can aspire to be better. Never feel satisfied with your current skill-set. Always look for ways to improve on what you already know. Strive to be efficient and concise with everything. Thank you, Kaelah!! I loved what you had to say about writing everything down! I love carrying a journal around with me everywhere. When I think of an idea or even an action item, I have it with me at all times. It never leaves my side. I am so, so excited to announce that my beautiful sister-in-law and her husband are pregnant with their first baby! 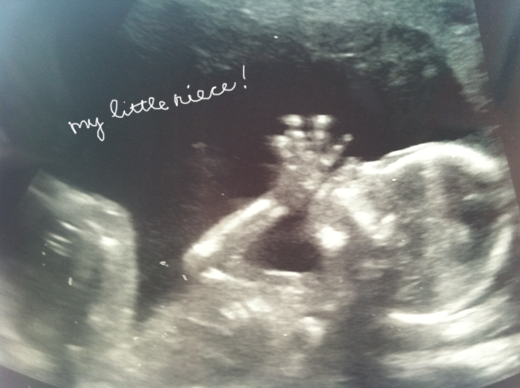 This will make Jon and I an aunt and uncle for the first time and we are thrilled! They found out a week ago that they are having a sweet baby girl. She is due in July and I can't wait to hold my little niece. 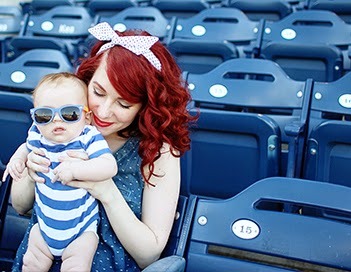 :) New goal: be the coolest aunt ever. Long time no see!! I got back from my business trip in Orlando last Wednesday and Jon and I spent Thursday through today packing, moving, cleaning and settling into our new place. It was a lot of work, especially since I got a little zealous with the painting in our old apartment, so we had a lot of priming to do. We are finally settled in and enjoying our new space! We will only be here for 7.5 months, but we managed to make it cozy and homey. :) I'll be sure to share pictures soon! I'm planning on getting back to my routine and regular blogging schedule this week. It's so good to be back. 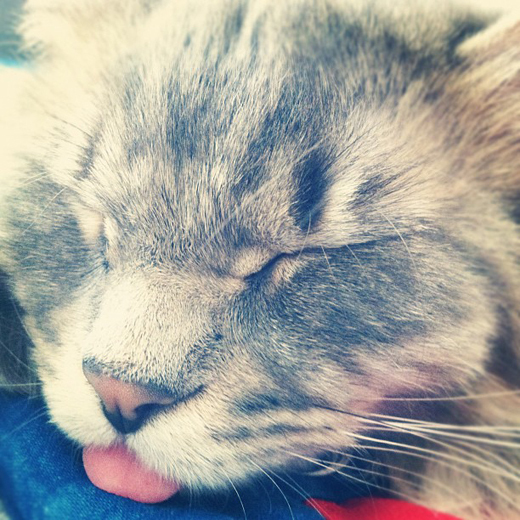 Snapshot of the Week: A little Instagram snapshot from a couple weeks ago. * THIS -- Jon and I have been so busy this month, we really want to go on a little vacation to celebrate our upcoming two-year anniversary, have lots of fun and relax! * I'm sitting on my coach for the first time in 2 weeks. * I really want to see Chronicle with Jon. Happy Valentine's Day to you! Whether you are married, dating, or happily single, today is about celebrating love and cherishing those you care for. :) Jon and I don't usually do much for Valentine's Day...but I do love those little conversational hearts, especially the tart ones! I wanted to share with you one of my favorite Valentine's Day memories. I had just finished class and was walking down to the cafeteria when I noticed some of the students giving me the "a-surprise-is-coming" look. Suspiciously, I looked around the corner and saw my sweet boyfriend holding flowers and a picnic basket. I was completely surprised and overwhelmed by his thoughtfulness. I'm pretty sure my face turned 6 shades of red. This would be 18 year old Jon and 17 year old Savannah. Jon wore his hair long in high-school and for a good part in college...and I straightened the life out of my hair, but quickly embraced my natural curl when I went to college. What cuties we are!! Jon and I are celebrating Valentine's Day tomorrow, when I get back from Orlando, with a date night. I can't wait to see him soooon! 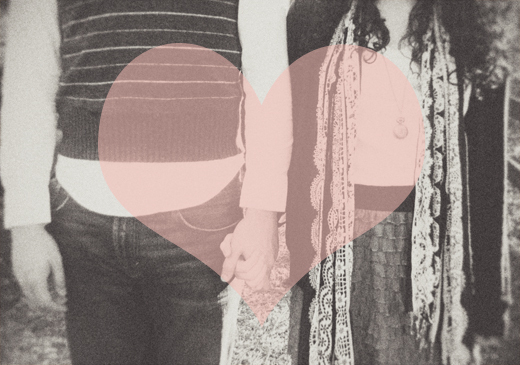 Do you have a favorite Valentine's Day memory?? Please share! It's been a long week! Last Saturday, while Jon and I were on our marriage retreat, I started feeling the "uh-oh-i'm-getting-sick" feeling. I was out with a weird cold//flu thing and missed my flight to Orlando on Tuesday morning. With the help of some airborne, meds, and lots of water, I was able to reschedule my flight for Wednesday afternoon in good traveling health. As mentioned in this post, I've been out of town working on production for the Chick-fil-A Operators Seminar. This year, it's huge! We've been going through technical and talent rehearsals all-day since Thursday. As a matter-o'-fact, I'm sitting in "video village" right now, which is a giant dark room FULL of equipment, computers, and wires galore. I'm wearing a headset, looking at a huge monitor, and on stand-by to create//edit any graphics needed. Tonight starts the kickoff of the seminar! We are opening with a HUGE red-carpet style awards show. It's going to be the longest working day yet, but I'm ready to get the show on the road and see a year's worth of planning all come together. 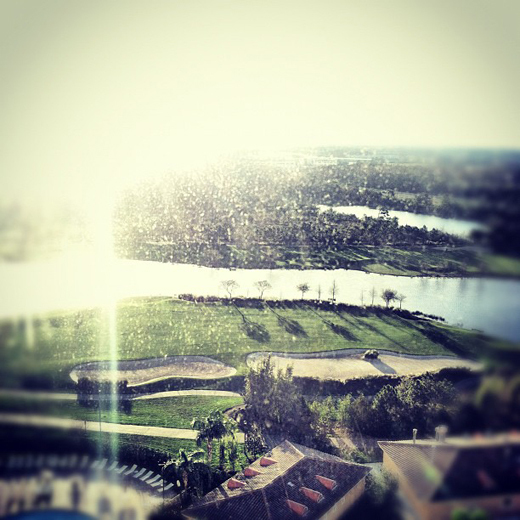 Snapshot of the Week: Morning view from my hotel room. * DIY Gold Horses by With an I.E. 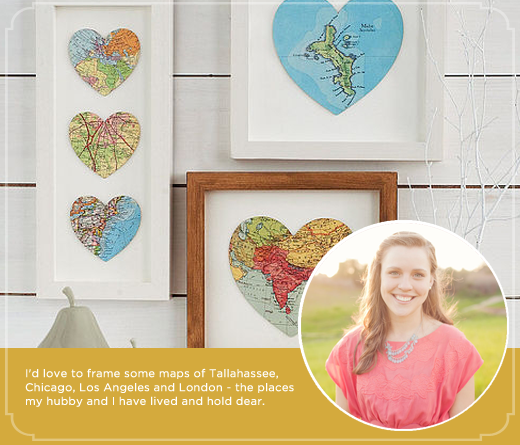 * Creature Comforts -- I love looking at her Foto School challenge shots and her blog has such a beautiful and clean design. * My Style File Board on Pinterest -- Can't wait to start dressing for warmer weather! * When I sleep alone in a hotel room, I always keep the TV on for a little extra light. My channel of choice would be HGTV. * When I was little, I had a baby blanket I named "Dee-Dee". * I've seen every episode of "Full House". Hope your weekend has been wonderful!